Meet Our Sponsors: Tiny Inc.
Etheria Parrott, the creator of Tiny Inc., shares with us her Faire-memories, her development as a SL creator and of course her sneak previews of the new Dinkies for the Faire! My first experience of Fantasy Faire was last year where I was invited to exhibit with the tinies. I enjoyed the beautiful sims, the ambience and taking part in all the fun events very very much. I just think it’s wonderful we can raise money for cancer sufferers and research in a virtual world for the real world. It’s my pleasure to be able to help. I began building from my first week in SL back in 2006. I happened to land in a sandbox where I met someone who showed me how to build a witch’s hat. I left it there with a 1L price on it and someone bought it. I didn’t know it was against the rules 😉 I soon found the Library of Primitives and spent a few days there learning all the techniques. I am at my happiest when I’m creating but I suffer from perfectionism so output can be pretty slow. I taught myself to use Blender to create sculpties and then meshes. Now, with those skills I have made my most successful product to date, “Dinkies”. 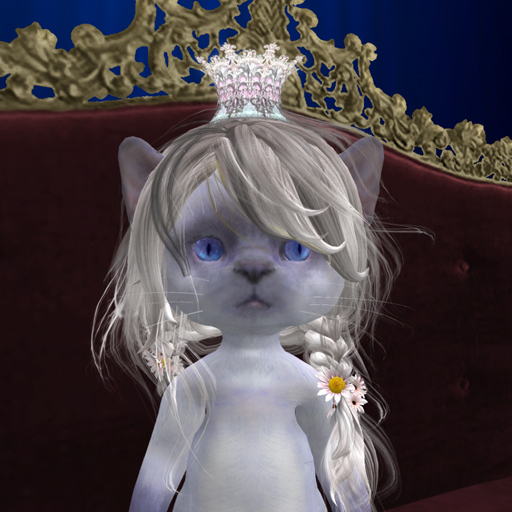 They are tiny mesh biped cat avatars which fit in well with the tiny community or any family. 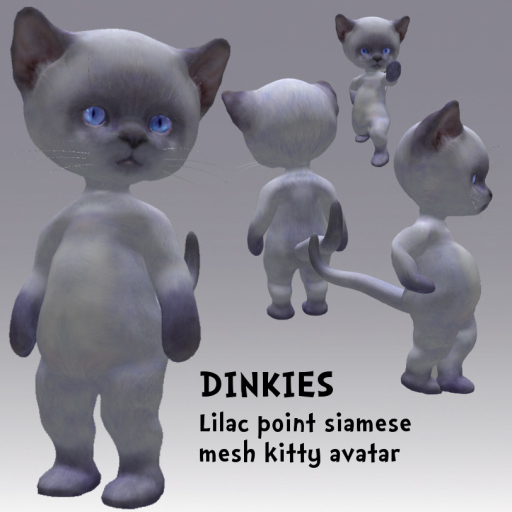 I will be bringing Dinkies including a brand new special “Lilac Point Siamese” for my RFL vendor. My dear friend Kamasa Kutanaga who I work with collaberatively will be bringing one or more beautiful fairy outfits for Dinkies. Other wonderful Dinkie clothing designers will also exhibit with me. My perception of fantasy is probably not the correct one. I did not ever want to be a standard human in Second Life. I like to be a cat and that, to me, is pure fantasy. I’m happy that I create avatars for others to role play with too. I’m not sure what you mean about when I encountered the genre but if you mean in RL then it was The Hobbit and Neverending Story. 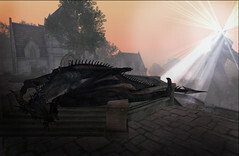 In Second Life it was when I came across a shop that sold spells and other magic stuff. I bought a Quidditch snitch there. My first visit to Fantasy Faire was last year. The builds and sim designs were stunning. I was blown away by their beauty and I can’t wait to wander through the new ones. We had masses of fun at the final hunt. There was so much thought and effort went into that and we really had to think to solve the puzzles. I met the loveliest people. Kind, gentle and funny. Lauren and Rynn as Dinkies playing the violin and banjo on stage drew big crowds. I filmed them for posterity. Thank you, Etheria, for taking the time to chat with us. We’re delighted to have you with us again! fantasyFantasy FaireFantasy Faire 2014FFFF 2014Relay for LifeRFLRFL of SLSecond Lifesim sponsorSLTiny Inc.